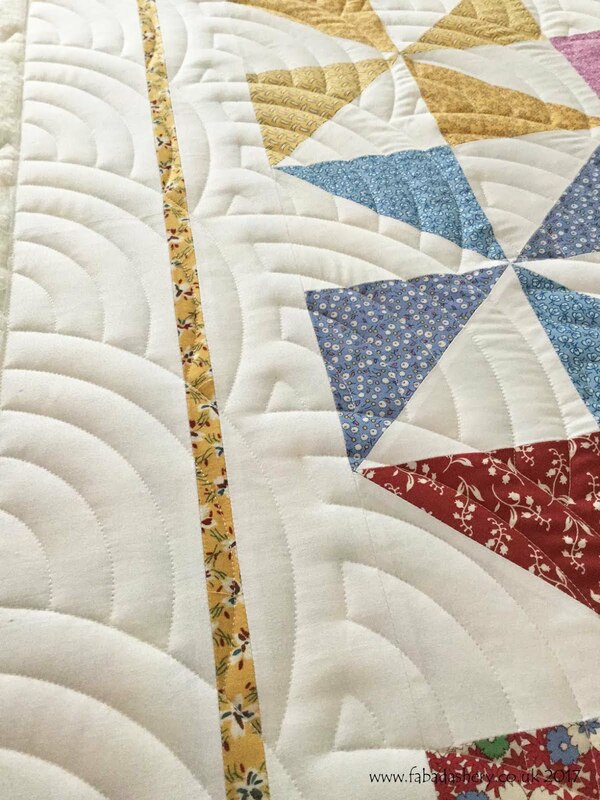 Sometimes a quilt walks in the door and you don't want it to leave. 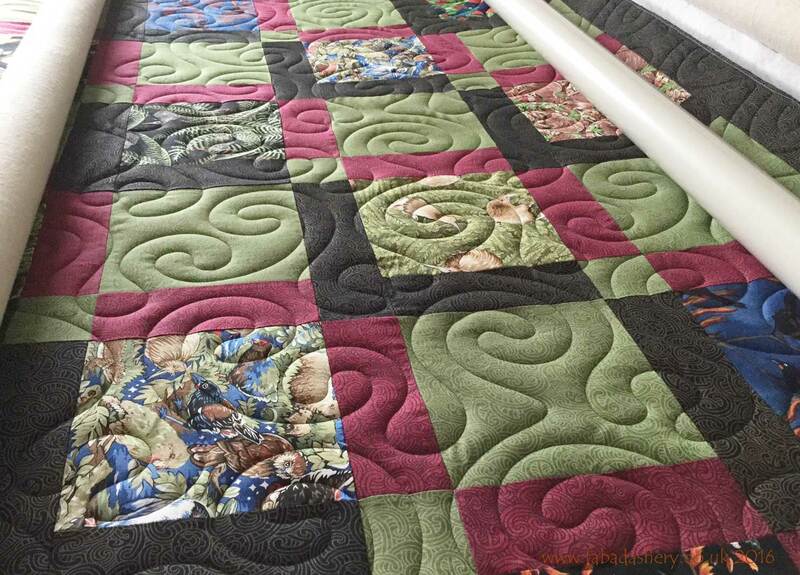 This was the case with Lynda's amazing version of the Caswell quilt. 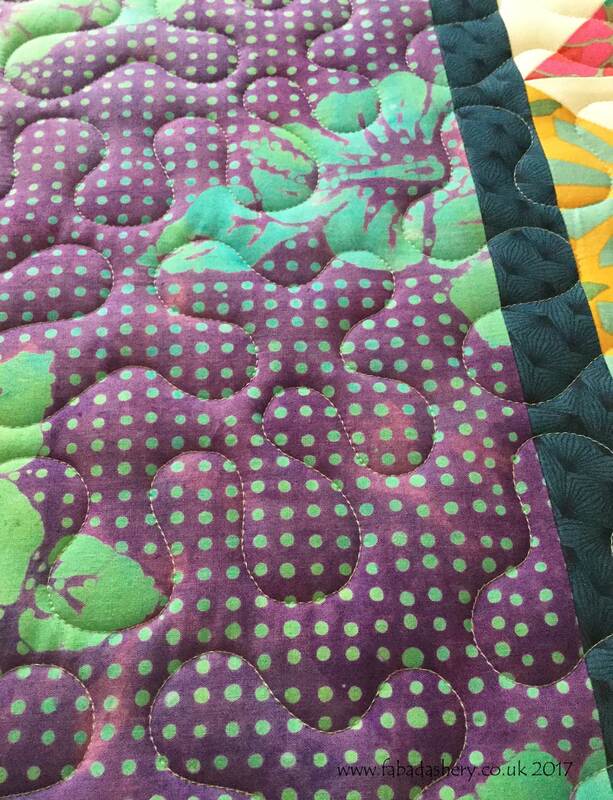 Lynda has a great eye for colour and uses fussy cutting to its best advantage. 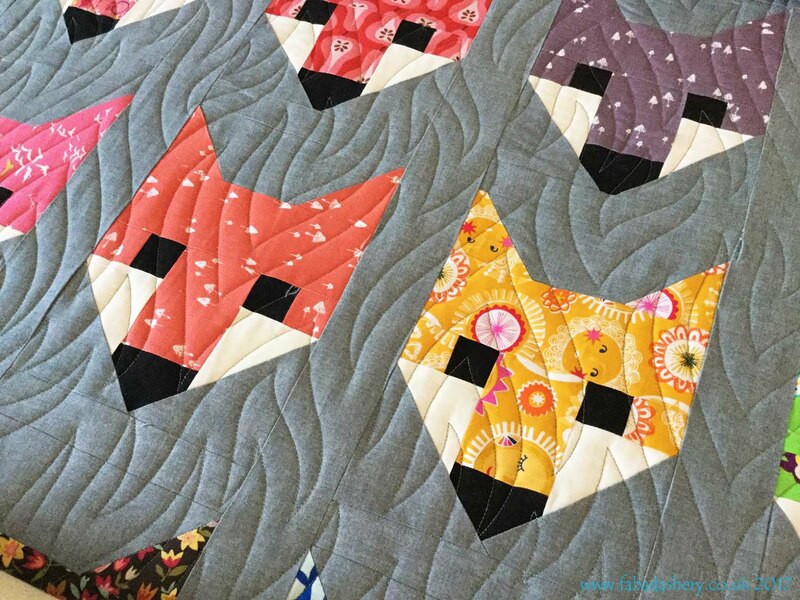 She has put her own spin on it with a lovely applique border and by just doing a selection of the blocks. 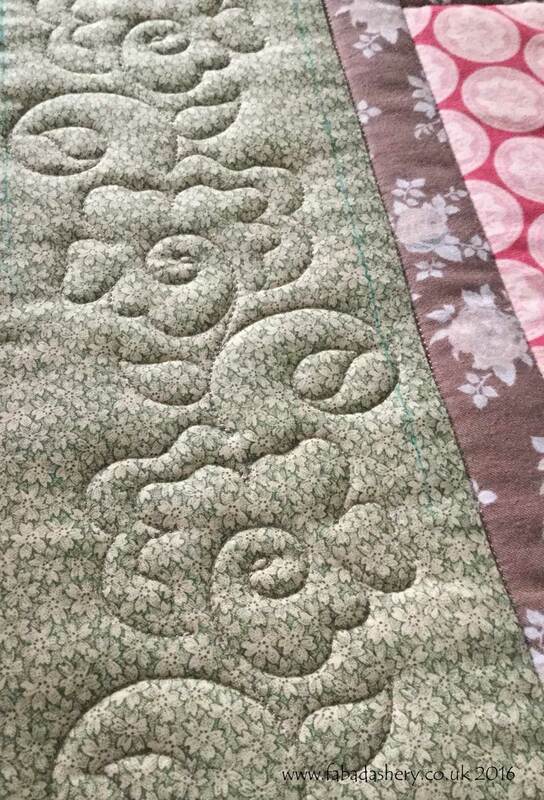 It's a great size. 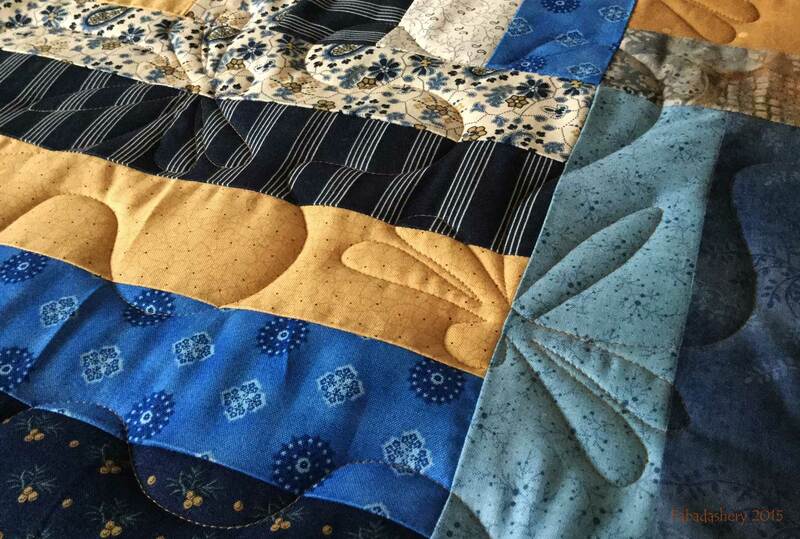 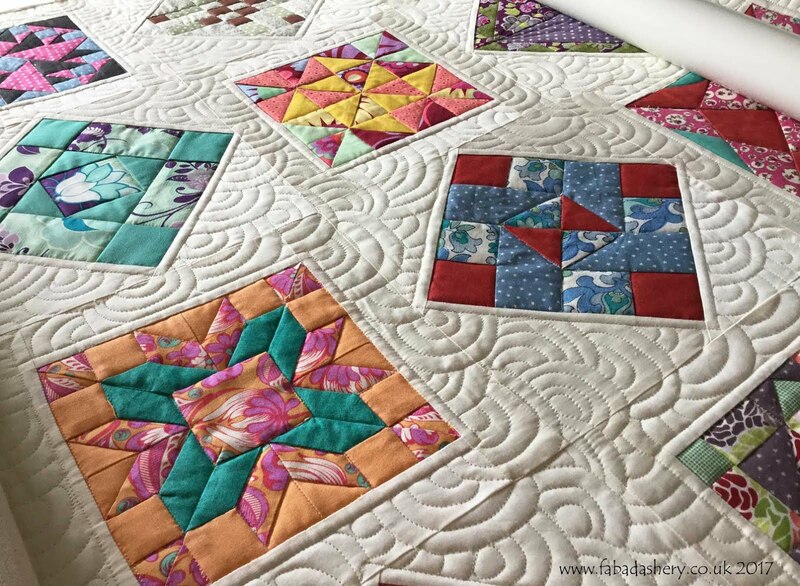 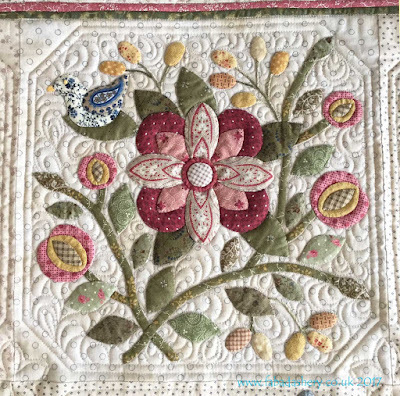 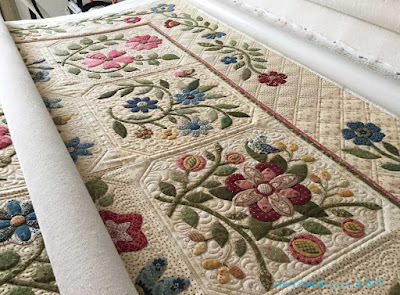 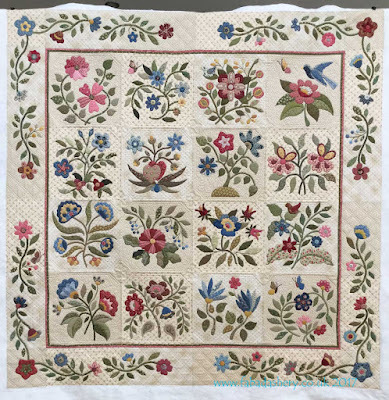 This beautiful quilt required custom quilting which involved lots of stitching in the ditch around the applique and ruler work to add some structure to the overall quilt - but worth every stitch! 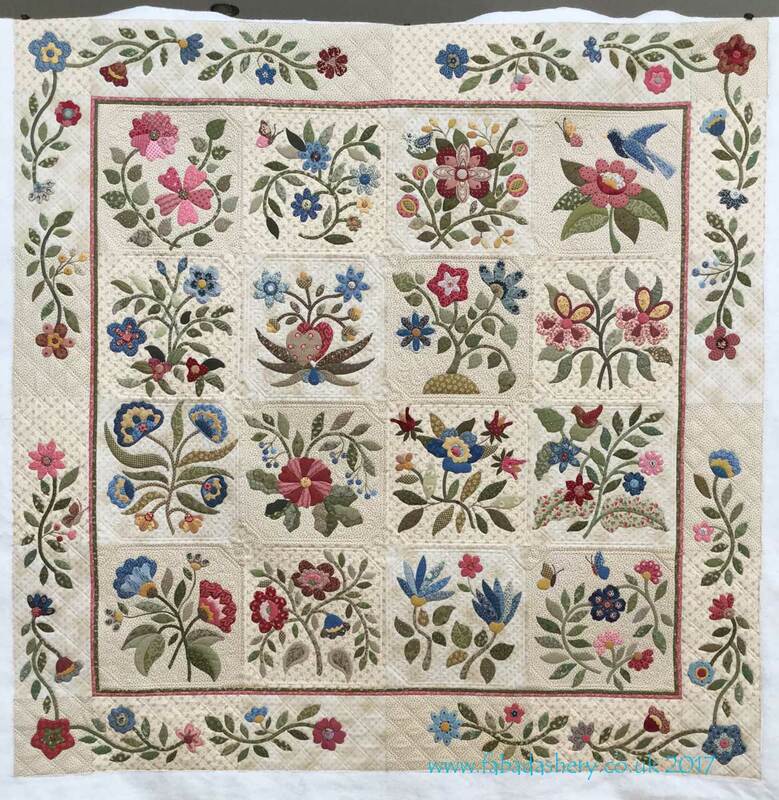 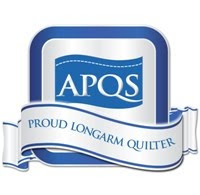 Lynda's quilt will be on display at the 2017 Festival of Quilts in the Two Person Category No 395.